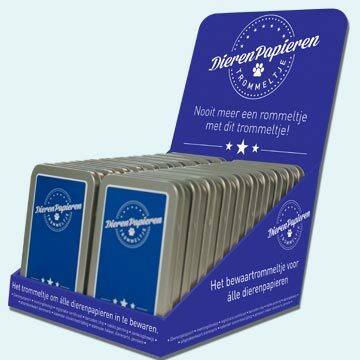 Ordering EU Pet Passports? Please fill out your CIBG number. 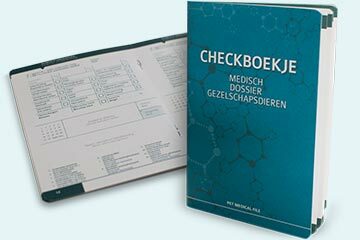 We can only deliver the passports to veterinarians registered with the CIBG (www.diergeneeskunderegister.nl) and housed in the Netherlands. 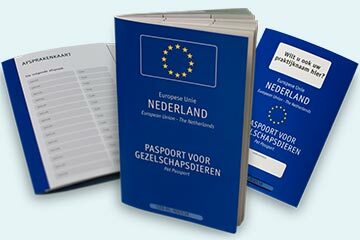 Ordering EU Pet Passports? Please fill out your CIBG number above. 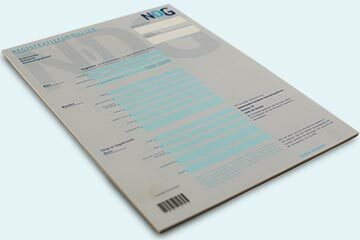 New from NDG: personalized covers! Get your practice details on every passport. What's so special about these covers? There's no extra costs for these covers. Per bundle passports you get 50 covers. Presentation stand with 20 storage boxes for animal documents? Your clients can keep their animal documents in this stylish storage box. So no more lost passports or vaccine booklets! The storage boxes will be engraved with your practice name and city. The storage boxes (€6.00 p.p.) come in an inviting display with 20 boxes. Free shipment for subtotal of €125.00 or more.